Baltimore, MD (June 3, 2016) The Maryland Polo Club, the only venue for field polo in the greater Baltimore area, is pleased to announce its first ever Women’s Championship Tournament (WCT) qualifier. Played in two flights, a 10-12 high goal A-flight and an invitational B-flight, the event will feature some of the areas strongest female players and the quality of play of this fast growing part of the sport. The event will take place at the Maryland Polo Club fields near Ladew Gardens from Thursday July 7 with the finals on Sunday July 10. The public is welcome to attend and the club offers several sponsoring opportunities as well. Polo is an exciting spectator sport with a fast pace and the added challenge of human and equine athletes performing in unison. Played on a field the size of 3 football field, with four against four players, a match consists of six 7 1/2 minute periods called chukkers with a ten minute “halftime” after the third. Our hundreds of spectators join us field-side for each match for festive tailgates, enjoyment of the sport and corporate entertaining. About Maryland Polo Club: The Maryland Polo Club showcases club matches and tournaments throughout the June to September playing season. 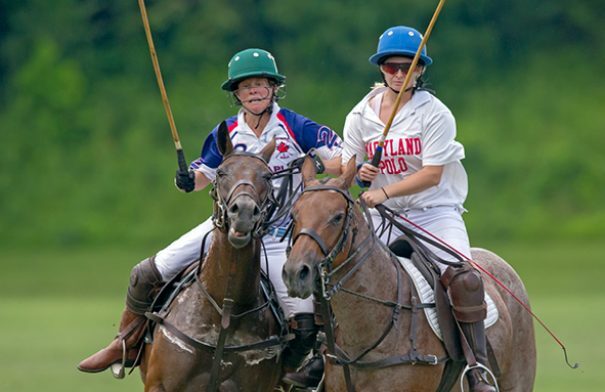 At Maryland Polo Club, international professionals share the field with experienced and skilled amateurs, Intercollegiate and Interscholastic All-Stars and National Champions, rising junior players, and beginners of all ages. Polo is open to the public and also forms an ideal backdrop for your next corporate event or family celebration. Matches are played every Friday at 6 p.m. and every Sunday at 3 p.m. Tickets can be purchased at the gate and are $15 per car. Visit our website www.marylandpoloclub.com for more information. About the WCT: The WCT is the largest women’s polo league in the world and the most well recognized brand for women within the sport of Polo. Women’s polo currently represents one of the largest growing sectors in the sport of Polo worldwide. The WCT Women’s Polo league has recognized events in 6 countries representing all ages and skill levels of players. The WCT Women’s Polo League welcomes new members both playing and non-playing to join in the camaraderie of players, fans, sponsors who share in our mission: new friendships, good polo…shared passion.